M’COLL, DUNCAN, soldier and Methodist clergyman; b. 22 Aug. 1754 at Glastrein, parish of Appin, Scotland; m. 1784 Elizabeth Channal in Halifax; d. 17 Dec. 1830 in St Stephen (St Stephen–Milltown), N.B. Duncan M’Coll was one of eleven children of Hugh M’Coll, a feuar of Glastrein. As a young man he entered a Glasgow commercial office but returned to Argyll after his apprenticeship and joined his father in business. Unfortunately their enterprise was a failure. After several setbacks the elder M’Coll was forced to sell the rights to Glastrein and another property, Carvin, both of which had been in the family for generations, and to retire on a modest income. At the age of 23 Duncan M’Coll faced a future of limited prospects. Fortunately the family had a number of military contacts. Among these was Colonel John Campbell of Barbreck, commanding officer of the 74th Foot (Argyll Highlanders), which was being raised for service in the American revolution. Barbreck enrolled the young man as a company pay sergeant late in 1777. The following summer the 74th sailed to Halifax, N.S. In June 1779 M’Coll accompanied his regiment to the Penobscot River, where under Brigadier-General Francis McLean* he participated in the construction of Fort George (Castine, Maine) and in its defence against American attack in July and August. The next spring he was sent to New York as paymaster to the 2nd Grenadier Battalion. He remained in that city until the fall of 1781, when he accompanied his battalion to the relief of Lord Cornwallis in Virginia. The force was too late to save the British commander and retired to spend the winter at Jamaica, Long Island. While there M’Coll underwent a religious conversion, finding a “peace of soul,” a freedom, and an ability to forgive which led him to abandon many of his old habits and friends. A member of the Episcopal Church in Scotland, M’Coll sought a spiritual catalyst within the Church of England but could not find it among the chaplains he knew. In the fall of 1783 he was discharged from the army and set off for Halifax on a refugee ship belonging to Philip Marchinton*. The ship was driven off course in a storm and eventually reached Bermuda, where the passengers spent the winter. Among them was a young refugee, Elizabeth Channal of Philadelphia, who had been disowned by her family for joining the Methodist connection. Over the winter M’Coll was greatly influenced by the Bermudan Methodists who provided a framework and theological direction for his religious ardour. M’Coll began his ministry at a time when Maritime Methodism was just beginning to coalesce into an organized church. William Black founded the Nova Scotia District in 1786 and M’Coll became a member of it in 1792. That same year, as one of only two Methodist preachers in New Brunswick, he was given a circuit which included the societies at St Stephen, Saint John, and Fredericton. He held this appointment for two years. 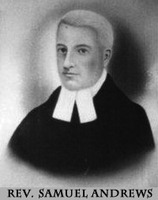 In 1797–98, as the only preacher in New Brunswick, he was given responsibility for the whole province. Meanwhile he had been summoned by Bishop Francis Asbury to a meeting of the Methodist Episcopal Conference at New London, Conn., where he was ordained on 22 July 1795. The return to St Stephen was the occasion of the second of the three great revivals which marked M’Coll’s career. That of 1795–96 nearly doubled the membership of the existing societies and provided the impetus for a major missionary endeavour resulting in eight new societies. A similar expansion characterized the third revival, which occurred at the conclusion of the War of 1812. By 1816 M’Coll’s circuit contained 15 per cent of the membership of the Nova Scotia District. The growth of the Methodist presence in Charlotte County is perhaps best illustrated in the baptisms of the period: before 1800 M’Coll baptized an average of 13 people a year; between 1815 and 1820 the figure increased to 52. The third revival marked the end of M’Coll’s missionary endeavours. By 1816 the 62-year-old cleric was serving 14 classes organized into 7 societies on a circuit more than 100 miles in length. The toll of 30 years of arduous circuit riding was compounded in the years between 1816 and 1819 by the deaths of virtually all of the remaining converts who had met in M’Coll’s house in 1785, culminating in the death of Elizabeth M’Coll in March 1819. The loss of his wife devastated the childless missionary but he continued to minister to his large circuit until 1826, when the executive committee of the Wesleyan Methodist Missionary Society agreed to grant him a pension of £70 a year in return for clear title to all of the property on the St Stephen circuit. The next year an assistant missionary was sent to take the more distant societies in St David, St Andrews, and St Patrick parishes and thus allow M’Coll to concentrate his efforts in the St Stephen heartland of the circuit. In 1829 M’Coll retired from the active ministry. He died the following year at the age of 76. M’Coll played an important role in defining community values and in moulding the popular culture of southwestern New Brunswick in the late 18th and early 19th centuries. In this he was unique among Maritime Methodist clergy, his influence stemming from the fact that he was not settled by the district on different circuits at three- or four-year intervals. Mrs M’Coll suffered two still births between 1784 and 1788, the second of which nearly took her life and left her a semi-invalid. This disability provided the conventional excuse for the couple to remain in St Stephen and M’Coll successfully resisted several attempts by the district to move him. M’Coll had his greatest successes among the pre-loyalist and loyalist farmers and lumbermen of St Stephen, St David, and St James Parishes. He was also the principal religious influence in the communities on the American side of the St Croix and for 20 years was able to prevent the building of any church in the Calais area. He was less successful in the town of St Andrews [see Samuel Andrews*] and had no impact on the merchant and official élite which dominated the political and social life of southwestern New Brunswick. Curiously, he particularly failed to have much impact on the Scottish groups in the county. For 20 years he made 24-mile trips every month to provide Gaelic services for the farmers on Scotch Ridge, but few became Methodists and M’Coll’s long association with the community came to an abrupt end in 1821 when, during the course of a sermon, he attacked the Calvinist doctrines of the Westminster Shorter Catechism. At the heart of M’Coll’s religious philosophy was the concept of vital religion, which, like most late-18th-century evangelicals, he perceived as a series of positive responses on the part of each individual to the initiatives of the Holy Spirit, responses that would lead to conviction of sin, conversion, and spiritual rebirth. The new creature wrought by these experiences would manifest his rebirth in a changed life and conduct. This view of an active religion was reinforced by the Methodist doctrines of universality and holiness. The first of these affirmed that every individual is capable of receiving and accepting the grace of God (that the damnation of man was not the result of God’s decree but of man’s free choice); the second postulated that individuals are capable of knowing they have reached a state of grace. These doctrines posed a clear imperative to mission which drove M’Coll and other frontier preachers into the most inhospitable environments in their desire to offer the free gift of salvation to all people. Like his master, John Wesley, M’Coll always preached for conversion, although he was often distressed by some of the emotional responses that accompanied the process. And like all evangelicals he possessed that intensive introspection which viewed every act, no matter how trivial, as possessing a moral significance. In an often coarse and brutal frontier society, M’Coll drew the configurations of righteousness, demanded that his converts live within them, and worked incessantly toward the conversion of every individual in the community. His rules of conduct were not only spiritual guides but also recipes for survival in the harsh frontier environment. M’Coll’s considerable authority stemmed from his flawless personal life – observers such as Archdeacon George Best, an Anglican, repeatedly commented that his character was beyond reproach – and from the dedication he brought to the task of evangelizing and protecting “his” community. His determination to maintain purity of worship led him to forbid even the taking of collections during services or at class meetings, and a disinterest in material things resulted in a ministry for which he received no remuneration before 1805. In the performance of what he perceived as vital duty M’Coll demonstrated great zeal and considerable courage. In 1786 he continued his services in defiance of the magistrates who threatened to prosecute him for his activities. On a number of occasions he went forth to do battle with various New Light, antinominian, and other itinerants who disturbed the peace of the St Croix valley. At the same time, M’Coll was no sectarian. His quarrel with the remnants of the New Light movement was theological: he perceived their emphasis as part of an antinomianism leading to violent emotional outbursts, whoredom, adultery, and family breakup, and finally to the abolition of all moral law. In most cases his concerns were broadly evangelical rather than specifically Methodist. He worked with Baptist preachers who passed through the area, willingly surrendered control of his American classes to the Congregational minister who was brought to Calais in 1810, cooperated with the Church of England clergymen of Charlotte County, was a founder of the St Stephen branch of the British and Foreign Bible Society in 1819, and consistently supported the Bible Society in preference to the Wesleyan Methodist Missionary Society. M’Coll’s relations with the civil authorities were generally good. Although the small Methodist sect was initially persecuted by the St Stephen magistrates, M’Coll’s military record and political conservatism soon persuaded the authorities that the social order was in little danger from such dissenters. M’Coll later used his record to good effect in obtaining for himself and other Methodists licences to preach from Lieutenant Governor Thomas Carleton*. M’Coll’s birthplace, military credentials, and unquestioned loyalty were particular assets in the 1790s, when most of the preachers in the Nova Scotia District were Americans, and taken together may explain why the district conference left him in the sensitive border area for so many years, though his permanency was in clear violation of the Methodist discipline. Apart from his efforts to secure toleration of Methodist activities, M’Coll played little role in the civil life of the colony. In part this reflected the combination of pietism and social conservatism which marked his outlook; in part it stemmed from the low status of most early Methodists. M’Coll always accepted the distinction between church and chapel and never challenged the legal position of the Church of England. Even on the marriage debate, which began in the early 1820s, his journal is silent. And this despite the fact that he always lived in a community where Methodists greatly outnumbered adherents of the established church. Only once, during the War of 1812, did M’Coll play a leading role in the public life of the colony. Since he almost certainly ministered to a clear majority of the population on both sides of the upper St Croix River valley, he had a particularly strong incentive to prevent the war from spreading into the community. Shortly after hostilities began, he initiated the formation of a committee drawn from leading citizens from both sides of the border which played an important role in maintaining peace in the region between 1812 and 1813. The situation became rather more serious in June 1813 with the arrival of American troops in Calais. 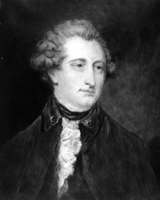 M’Coll intervened with their commander, who attended his services, and later with the British commander, Sir Thomas Saumarez, both of whom agreed to a truce in the community. M’Coll continued services on both sides of the border throughout the war. M’Coll’s influence in southwest New Brunswick survived him. In 1785 he had entered a society in which Methodism was virtually unknown. As late as 1861, 30 years after his death, more than 70 per cent of the native-born heads of households in St Stephen parish were Methodists. And when the Sons of Temperance entered New Brunswick in 1847 their first division, appropriately, was organized in M’Coll’s St Stephen chapel. Duncan M’Coll’s journal was published in several parts under the title “Memoir of the Rev. Duncan M’Coll, late of Saint Stephen’s, Charlotte County, New Brunswick” in the British North American Wesleyan Methodist Magazine (Saint John, N.B. ), 1 (1840–41): 251–58, 291–302, 331–36, 411–15, 458–62, 491–98, 571–78, 611–18; 2 (1841–42): 5–11, 47–54, 121–29, 161–69, 201–11, 248–53, 452–56. PAC, RG 31, C1, 1861, St Stephen Parish. PANB, MC 256, MS1/1 (Reg. of baptisms and burials, 1794–1848); 6/9 (Corr. with London Missionary Committee, 1828). UCC-M, Wesleyan Methodist Church, Nova Scotia District, minutes of the district meeting, 1816, 1826, especially 1 April 1826. E. A. Betts, Bishop Black and his preachers (2nd ed., Sackville, N.B., 1976). H. A. Davis, An international community on the St. Croix, 1604–1930 (Orono, Maine, 1950). G. [S.] French, Parsons & politics: the rôle of the Wesleyan Methodists in Upper Canada and the Maritimes from 1780 to 1855 (Toronto, 1962). D. W. Johnson, History of Methodism in Eastern British America, including Nova Scotia, New Brunswick, Prince Edward Island, Newfoundland and Bermuda. . . . ([Sackville], n.d.). I. C. Knowlton, Annals of Calais, Maine, and St. Stephen, New Brunswick. . . . (Calais, 1875; repr. St Stephen, ). MacNutt, New Brunswick. Matthew Richey, A memoir of the late Rev. William Black, Wesleyan minister, Halifax, N.S., including an account of the rise and progress of Methodism in Nova Scotia. . . . (Halifax, 1839). T. W. Smith, History of the Methodist Church within the territories embraced in the late conference of Eastern British America. . . . (2v., Halifax, 1877–90). Robert Wilson, Methodism in the Maritime provinces (Halifax, 1893). A. B. Dickie, “St. James, N.B.,” Presbyterian Witness (Halifax), 15 April 1916: 5. T. W. Acheson, “M’COLL, DUNCAN,” in Dictionary of Canadian Biography, vol. 6, University of Toronto/Université Laval, 2003–, accessed April 26, 2019, http://www.biographi.ca/en/bio/m_coll_duncan_6E.html.